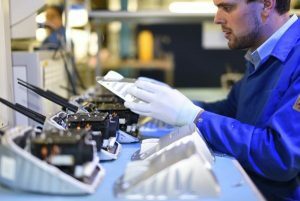 Speedboard Assembly Services, a leading Contract Electronics Manufacturer (CEM), is pleased to announce that following year-on-year growth, it is investing for the future by expanding its shop floor. Speedboard has been located in the heart of Windsor for over 30 years and the extra 3,000 sq ft of space gives the facility a total of 24,000 sq ft, providing more capacity for Final Assembly work. This extra capacity will provide real benefits for customers in terms of productivity and high levels of service. The extra space will allow the CEM to do more Final Assembly work on its shop floor, whilst having a more ergonomic layout which will promote more efficient working.